Costco Auto Program chose AdSoft Direct to fulfill the automotive service contracts sold on-site at Costco locations, thru the Costco Auto Program family of dealerships, and online. Leveraging its partnership with Moxy Solutions, AdSoft Direct has developed an industry leading solution for managing Vehicle Service Contract fulfillment. Featuring complex document/policy booklet generation, same-day production at local print facilities, and online policy delivery status tracking made possible using Critical Mail and a technology partnership with USPS and the Google Maps API, AdSoft Direct is able to deliver the most accurate and comprehensive end-to-end fulfillment system for the production of extended automotive warranties, complete with roadside assistance cards. 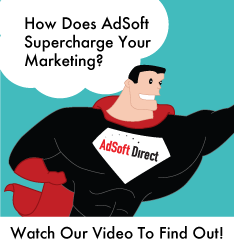 Often acting seemingly as an outsourced IT department for sales and marketing teams, the sophistication of the marketing systems AdSoft Direct produces increases every day as we strive to create the best marketing platforms possible in every industry we encounter.